You were impatient to get a hand on it, so without further discussion, here is our letter to ESMA. We look forward to your amending as you see fit, and submitting to ESMA. If anyone feels like translating to languages other than English, Spanish and French, feel free to share in our Twitter account. Let make it happens, guys!! 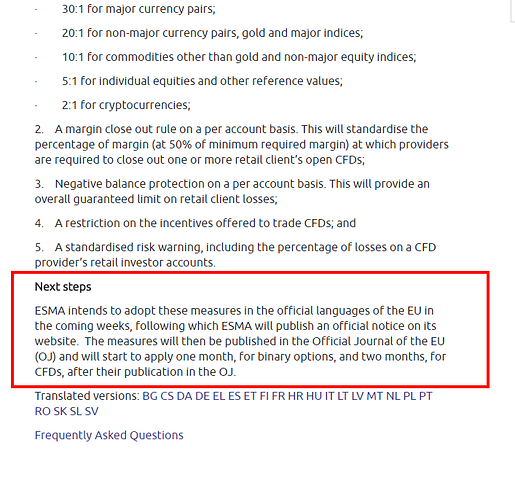 Already wrote to ESMA last week to request MTFs only. MTF is a brillant idea on paper. Yet, it badly needs a lot more participants to shine. Hopefully, we could all concentrate on only a few major ones tommorrow. If not, decentralized exchanges through software could take over that mission of neutrality (more than efficiency) because it has other benefits. Same challenge, growing volumes. Still, they are a whole other step and I am unsure how Darwinex would adapt to that futuristic vision. Seems ESMA has received a full bunch of letters from traders all around the world!! This is a great effort from you all! 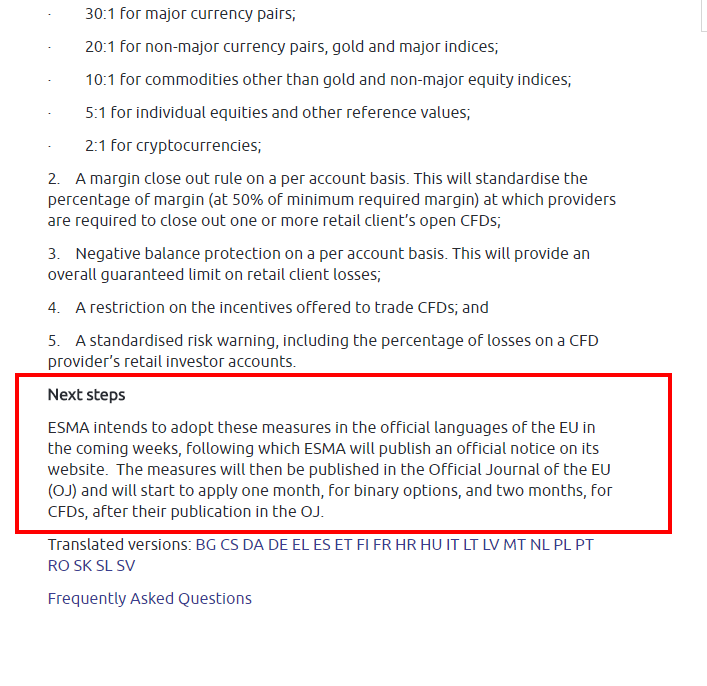 Let's see if ESMA changes its propositions. As you already know, in Darwinex we suggest an alternative to ESMA's new regulation proposal (our letter here). Here the news: LeapRate article on ESMA "unprecedented volume" of responses to CFD rule proposals. And finally... here's Darwinex' letter, effectively sent to ESMA! So what will Darwinex do? The darwins are dead then? The Darwins are leveraged between 10 and 15 so they should not be impacted (that much anyway, overall). Let’s hope all the market making bucket shops will get hit hard following the news. Most were playing so many games towards their customers, that they truely deserve a boomerang bounce back. This is very recent news and must be digested, I hope ESMA gives more (official) information soon. As @NapoleonDynamite says, if this takes finally place DARWINs will still allow traders to leverage profits from investors' capital while keeping a low leverage on their account. DARWINs use very low leverage, so there is no problem with that. We are analysing the information and will try to give you more in the coming days and weeks. This is a great opportunity subscribe to our Blog!! The darwin leverage is not the concern here. So I predict 90 % of darwins will shut down. At least 95% of the strategies underlying to invested darwins work with a DLeverage below 20 so not a big problem. Sure, some traders will be hit and their business model may be undermined, but your prediction would only make sense if the majority of strategy providers were currently running their underlying accounts on insanely high leverage (and even then it would be likely that half of them would adapt). This doesn't seem the case, so not sure why you'd be so pessimistic about this. Rational traders & rational investors are not concerned by this communication so all is fine, and hopefully even better in the future! Thanks @Medialux for pointing this out. No worries, we are already aware of it and will give you more information in the following days. I am sorry I didn't explain myself correctly. It has all to do with. Will a rational trader engage 100K in the market with a 600 account? What are the probability of success, in the long run (talking about years?) with this type of risk, please? I'm not talking about some kind of traders' experiments aside, talking about trading account. People farming 10 darwins on 50 will start to make quality and trust their best product with 500. BTW only 400 darwins are below equity 100. That rule (low leverage) does not protect traders, it protects only brokers since they cannot charge traders for losses higher than the account balance. ESMA should stop wrong arguments when they decide a favour to the industry. Despite that the main probleme is the trading account and the strategy employed. With a leverage1:30 even with 1000 trade account yhose who martingale or grid can't trade in the same way.